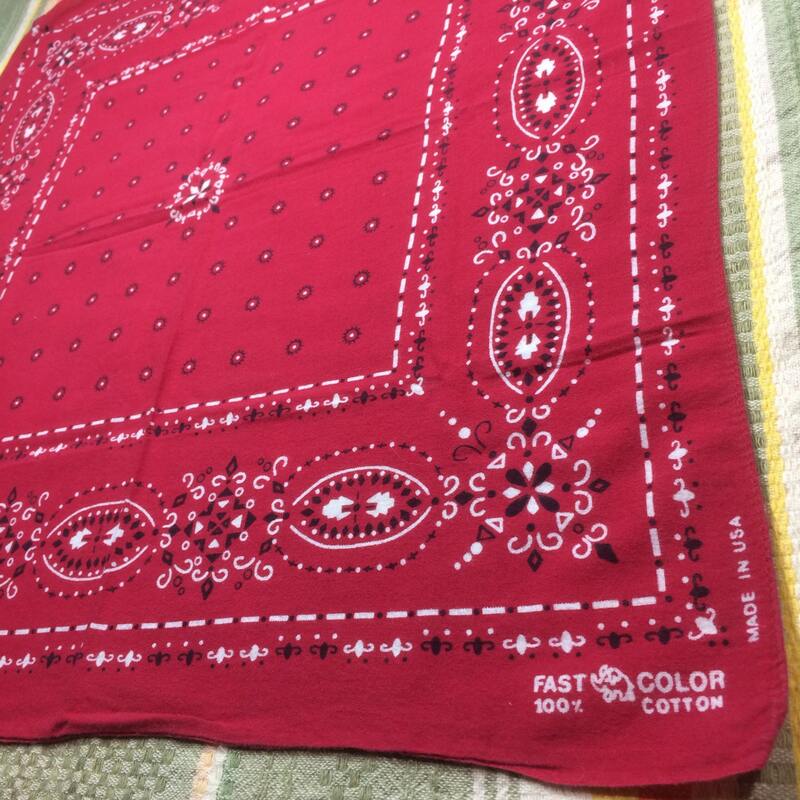 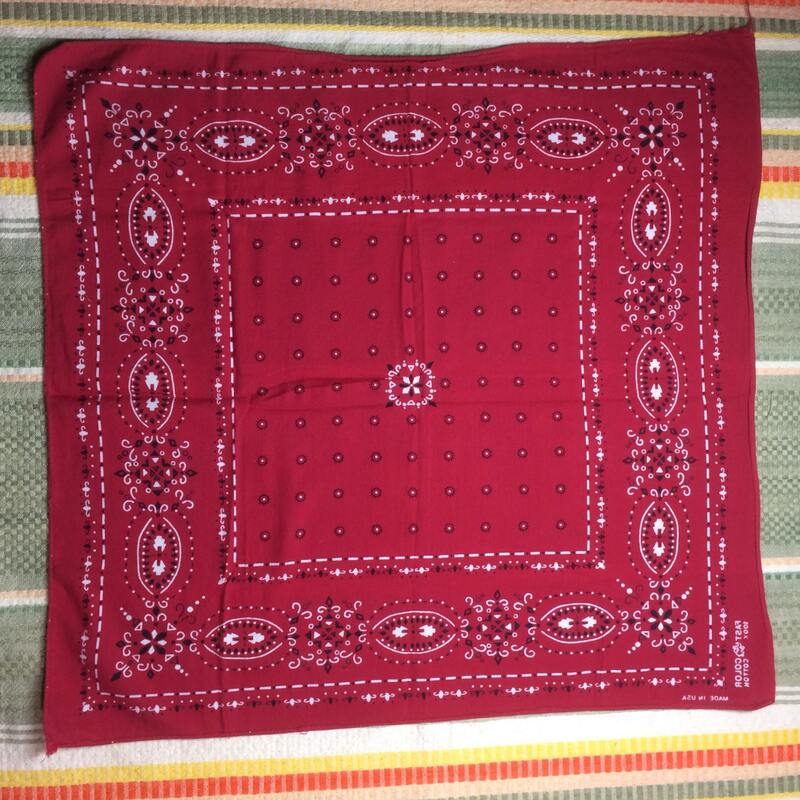 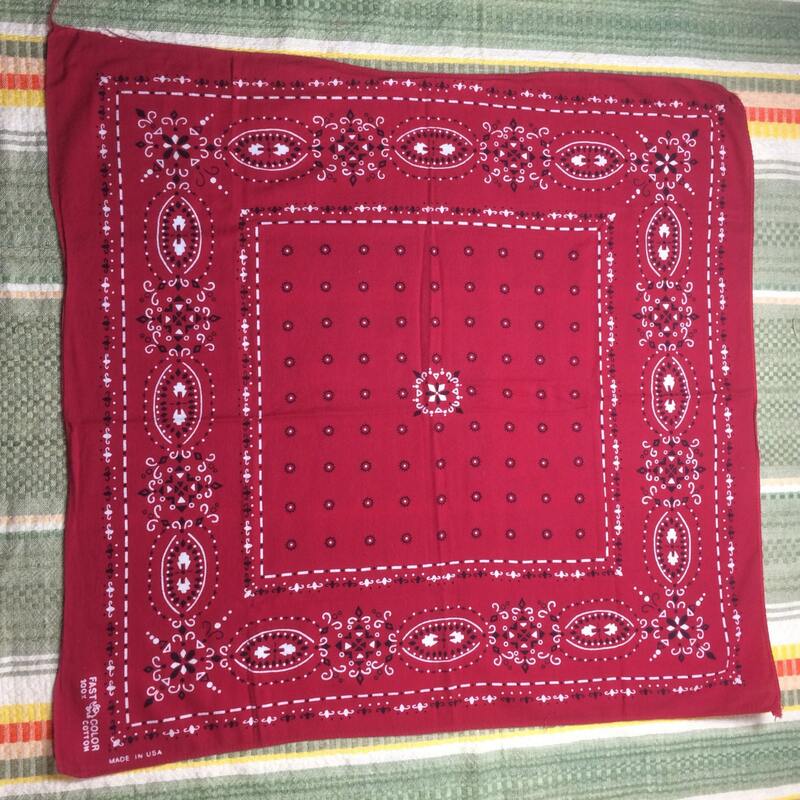 Here's an all cotton Elephant Fast Color bandana from the 1950's. 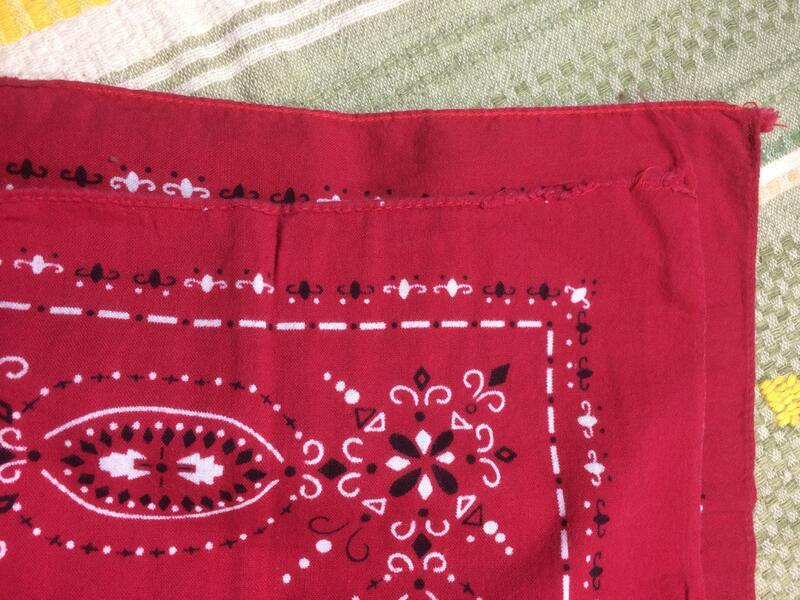 There's slightly frayed corners and along the hem by one corner, see last photos. 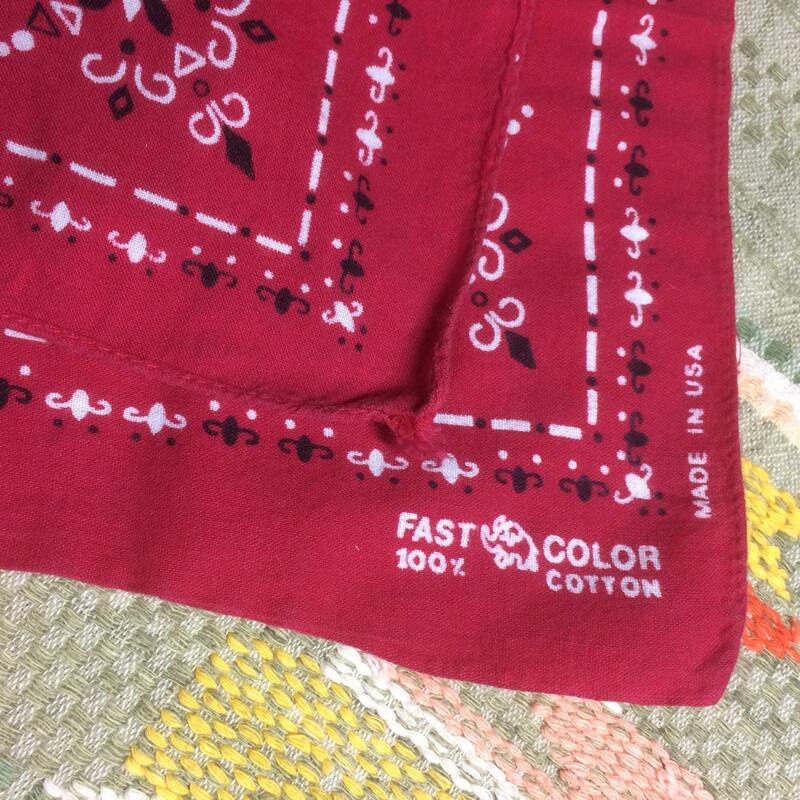 Otherwise it's in excellent, used condition.